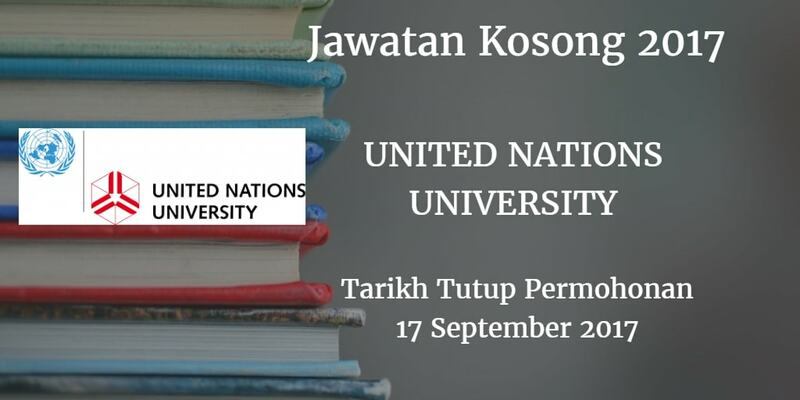 UNITED NATIONS UNIVERSITY terkini terbuka sepanjang tahun 2017. UNITED NATIONS UNIVERSITY would like to invite qualified candidate to fill in below vacant position vacancy. operations management, preferably in an international environment. a strong appetite for process change management. National Professional Officer Salary scale for Kuala Lumpur (duty station).